Four-time Grammy Award-winning bassist Christian McBride hosts and produces SiriusXM’s “The Lowdown: Conversations With Christian,” and NPR’s “Jazz Night In America.” He also serves as Artistic Advisor for Jazz Programming at the New Jersey Performing Arts Center (NJPAC) and Jazz House Kids. McBride recently released Live at the Village Vanguard, his 16th outing as a leader and sixth Mack Avenue Records release. 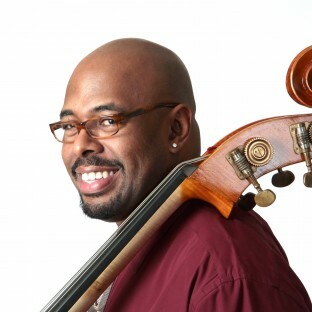 Connect with Christian McBride on Facebook, Twitter, and his website. Christian McBride (born May 31, 1972, Philadelphia, Pennsylvania) is a jazz bassist. His father, Lee Smith, is a well known Philadelphia bassist who was McBride's mentor. In the jazz community, McBride is widely considered one of the best bassists of his generation. McBride has performed and recorded with a huge number of jazz legends, including Joe Henderson, Freddie Hubbard, Herbie Hancock, Roy Haynes, Pat Metheny and Chick Corea, as well as with newer musicians like Joshua Redman, Nicholas Payton, Benny Green and Sting. McBride is known for his equal facility at playing pizzicato and with the bow. McBride primarily plays upright bass, but is also adept on the electric bass. Read more on Last.fm. User-contributed text is available under the Creative Commons By-SA License; additional terms may apply. 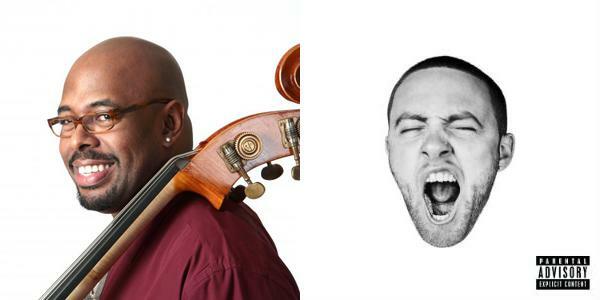 The celebrated jazz bassist knows a good rhythmatist when he hears one: Mac Miller. But Miller's debut album already finds him at a crossroads.